August 2014 Update at bottom. 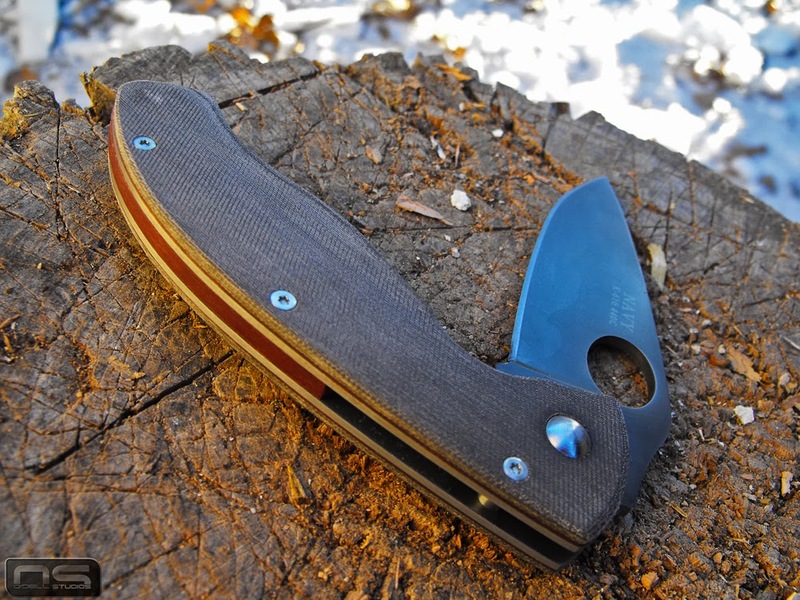 2013 gave us the Buck 722 Spitfire and it has been a great knife to carry over the past 7 or 8 months. 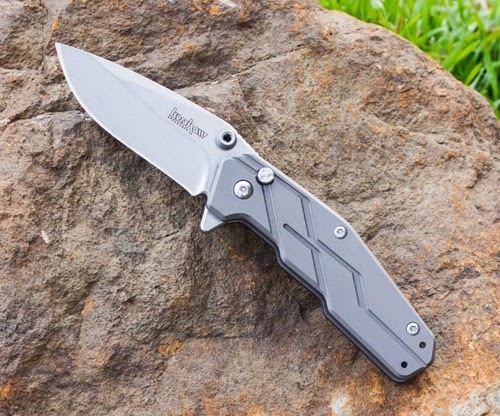 It is a pure EDC blade that I was truly excited about from the time I first saw it and I think it is fair to call it the knife that has it all. I am attracted more strongly than for any other reason to a design that is exactly what it was meant to be and doesn't pretend to be anything else. 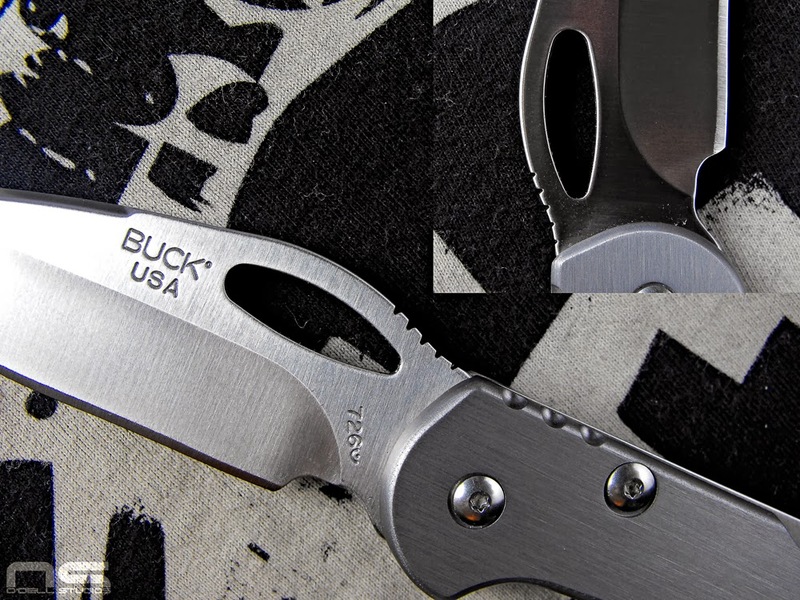 Buck doesn't always get it right, in fact, it seems all knife companies have filler products and I am constantly left scratching my heading wondering why. Remarkably, I am certain the reason is because there are actually people who buy them. 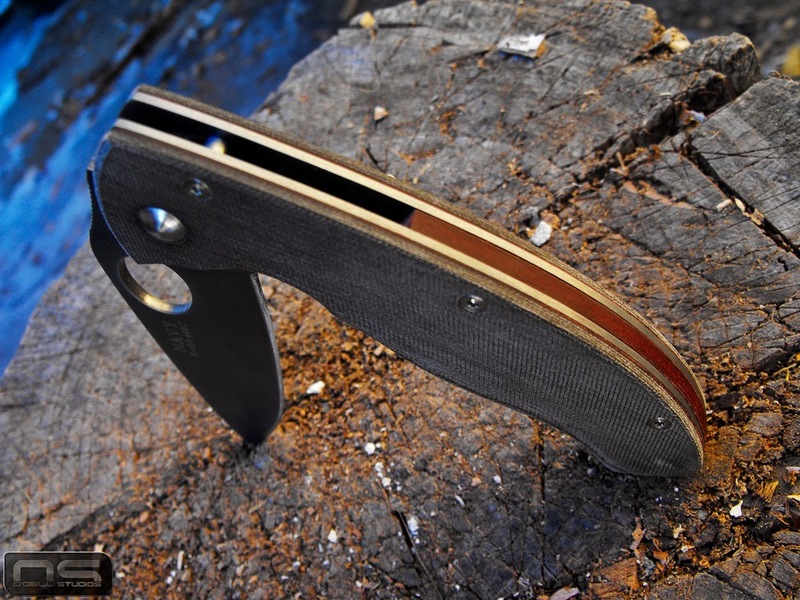 But the point is the Spitfire is an EDC knife in the sense that knives for a large portion of people who carry them are an extension of their personality. 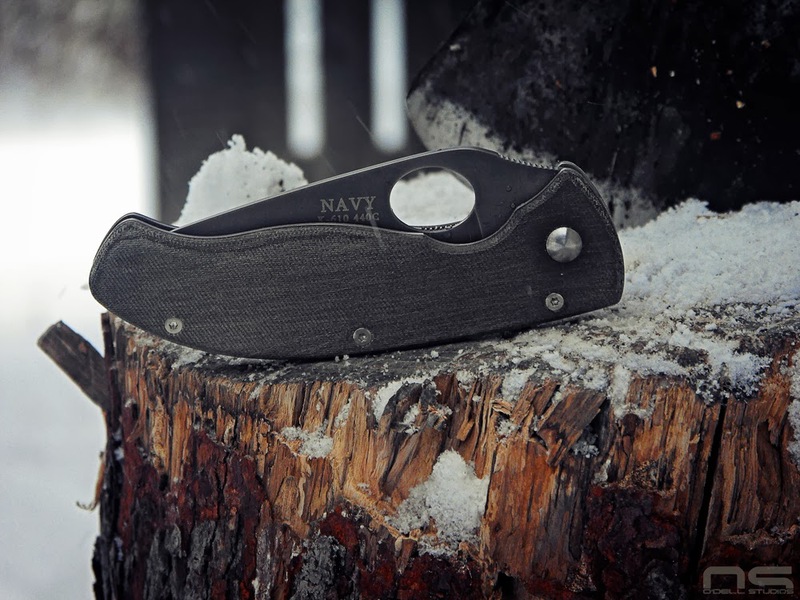 Any knife that you can fit in your pocket (or wherever I suppose) and carry every day is an EDC knife, but there is an obvious subculture which has grown, via the world wide web, to have significant influence on the market. Buck has been doing this a long time and they aren't dumb enough to ignore it. So when I say it has it all, I mean it has everything that it needs to be exactly what it set out to be. 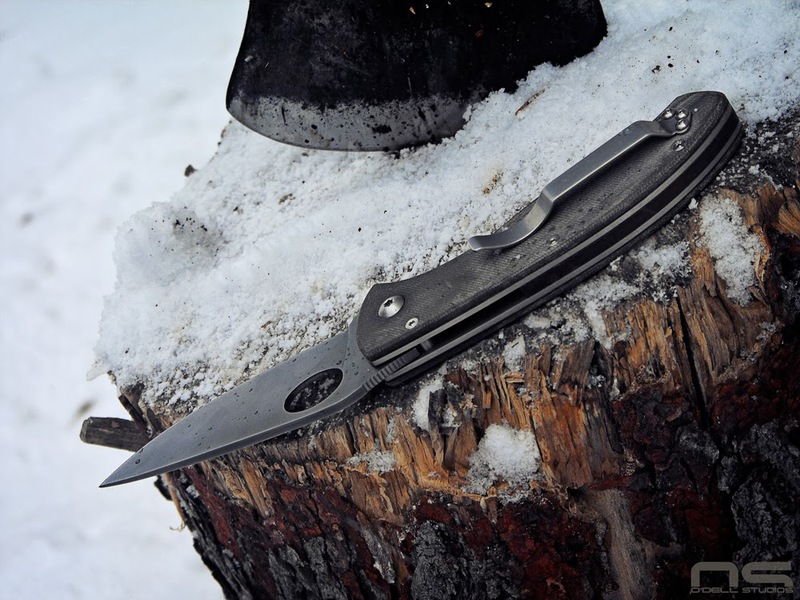 Some may be thinking, well it doesn't have S30V steel or titanium handles. No. 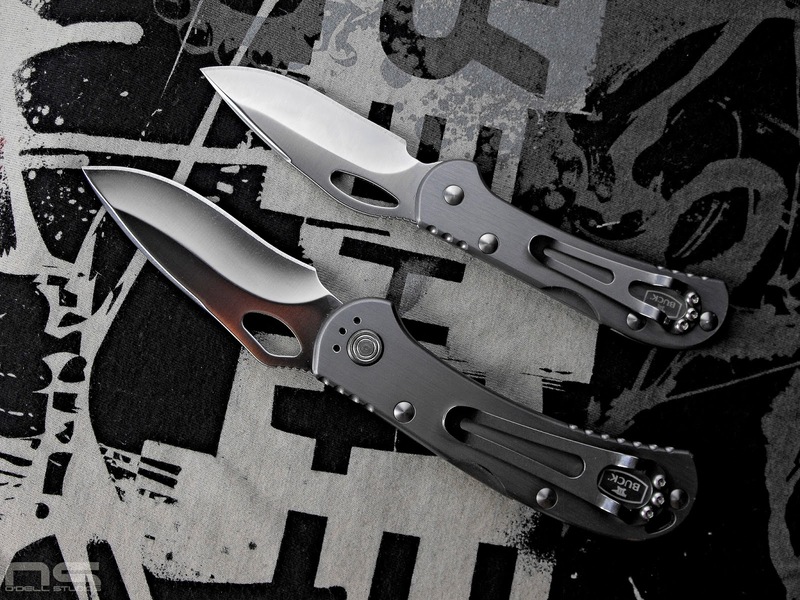 What it set out to be was an affordable knife as well as an excellent EDC knife. Let me make a list. 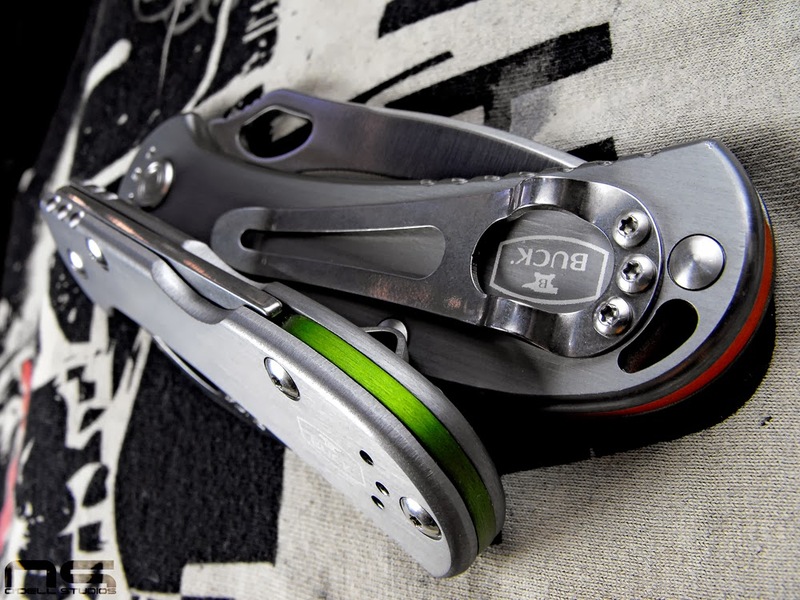 Light weight, slim, jimping, thumb ramp, anodizing, ambidextrous, thumb hole that kinda reminds people of Spyderco, color options, and a 4-way positional pocket clip (with 3 screws no less). 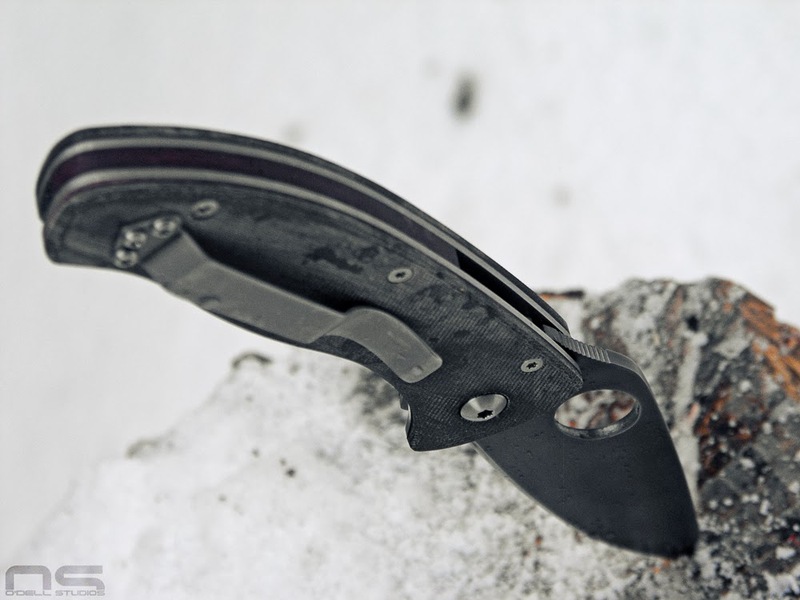 This should sound pretty much like a knife forum wishlist to you dear readers and Buck said, let's put it all into one knife AND do it tastefully. 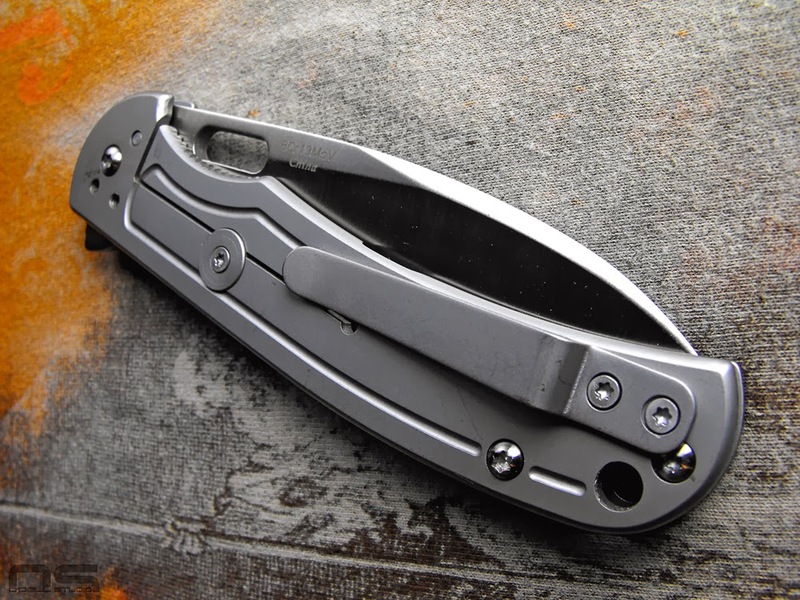 How often do pocket clips look like after thoughts in the budget blade world? How often do lanyard holes (I left that off the list!!!) look like after thoughts? How often do we have to trade some of those things in order to get others? I recently got an A.G. Russell Skorpion and even after the pocket clip was given extra consideration (supposedly) it still looks poorly integrated into the design. Here's the thing with the Spitfire; it's not even so much that it has it all, it's that they got it right and even went a couple steps further to deliver a complete, well thought out design in an affordable, American made package. Bottom line is, people want something different, something with some personality and something with clean design. Coming back to the materials point, Buck isn't blind to the success of the Vantage line and I am hopeful that the Spitfire will follow in its cousins formula. In other words; higher end steel options. For 2014 Buck brought out the 726 Mini Spitfire. I said from the start that I like this knife well enough to get the variants and that really is the reason I got the Mini. To be honest, it's little and I think the 722 Spitfire is a great size, but it's an indication that the line is progressing. I didn't, however, get the WalMart Slimline. I'd call making some kind of WalMart exclusive a misstep on Buck's part, but they didn't call it a Spitfire and I suspect from a financial standpoint it was no misstep by any stretch. So let's get to the 726 Mini Spitfire already! I can't help it, I'm going to nit pick the Mini so I'll start with the good. Lately at work I have been opening lots of various packaging and boxes, so I used it today and found that I'm not really hating the small size. I realize for everyday common cutting there is no need for more knife really and with medium hands I can get 4 fingers on it just fine. What's more it is like having nothing in your pocket. It's slim, weighs nothing and is very compact. 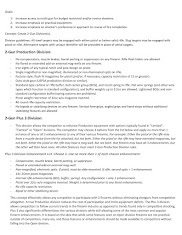 For folks who work in knife unfriendly places or have to wear dressier clothing, it might be a nice option. For people who just don't go for larger blades, it's ideal. I would say it was an intelligent choice to make a somewhat larger (just right) size initially, and then a much smaller version for the mini because it is more likely to fit the two halves of the community. The beauty of the 722 is that it's not big, it's not small. Because it's so light and slim the length alone isn't enough to take it into the large knife realm the way I see it. Once again, the 726 is a damn good looking knife in my eyes and the subtle profile changes were well done. 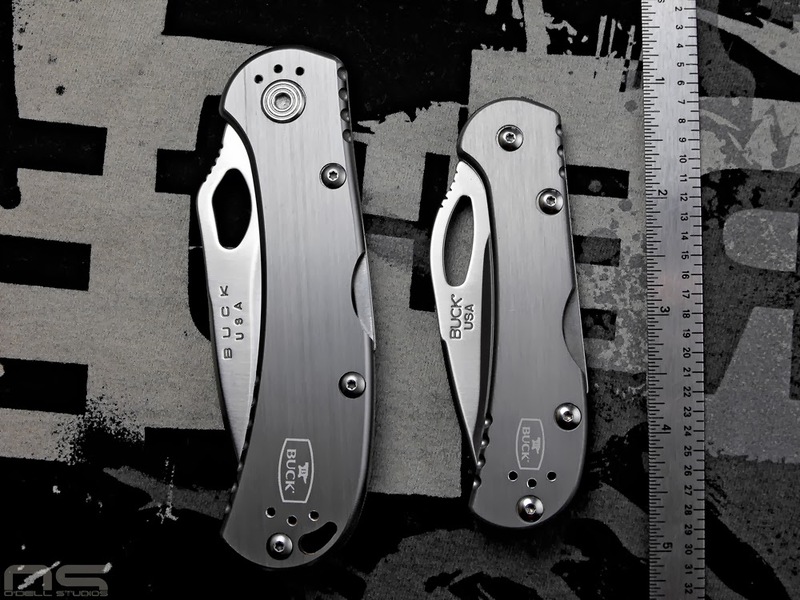 I like that they removed the re-curve from the blade and I like that it isn't an exact miniaturized copy of the 722. 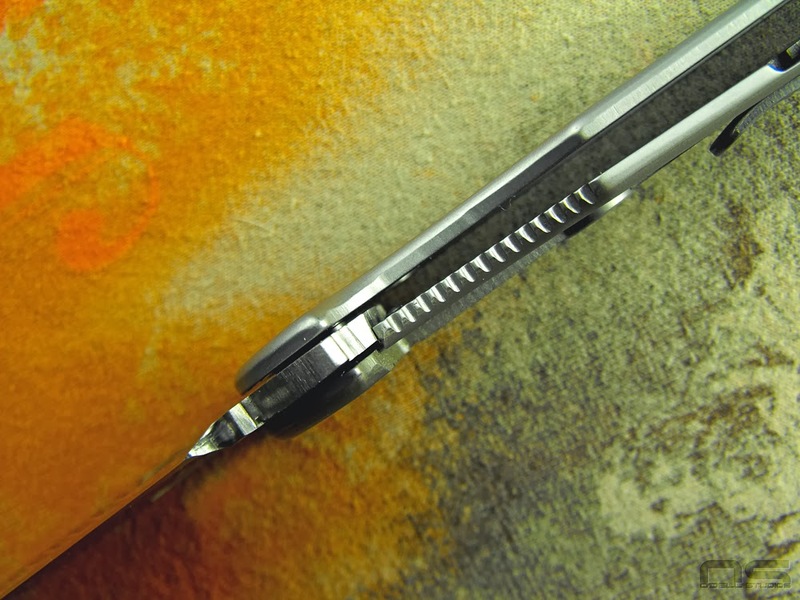 You may recall that the 722 had this thing where the blade felt like it could move upward slightly when open. I saw where someone said that it's really the handle that is moving if you want to look at it light that. So I did look at it like that. And it's true. The blade does not move in any way against the lock bar. The 726 does the same thing, but in fact the "lockup" is actually very strong. Like before, opening is smooth, thought not as smooth as my example of the 722. Like every other Buck I've purchased it came razor sharp. To appease anyone who considers cutting cardboard and paper an exercise in knife testing I split up a bit of fine Red Elm kindling tonight to get my wood stove going. I used a twisting motion to split already finely split pieces into finer pieces still, and what do you know, the Mini did great. Let's do the picture thing. 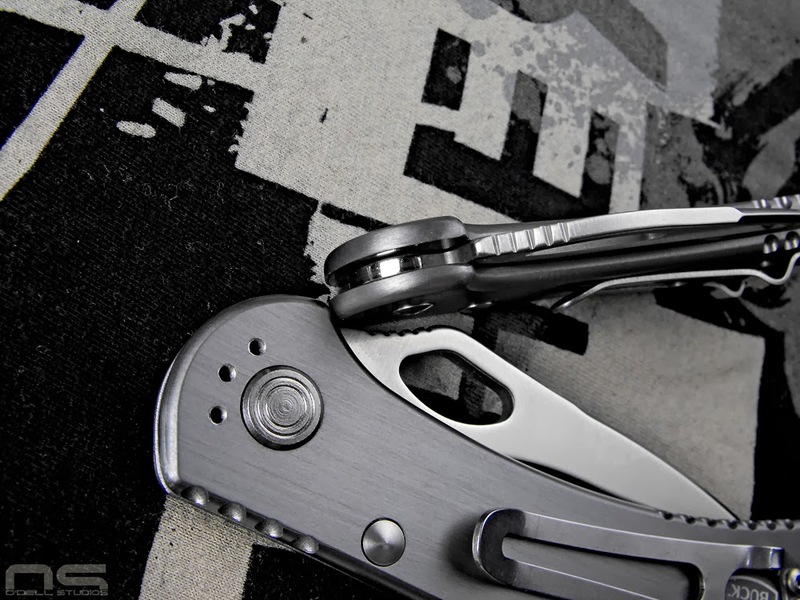 The pocket clip side here. It's plain to see that "Mini" was the right word choice. 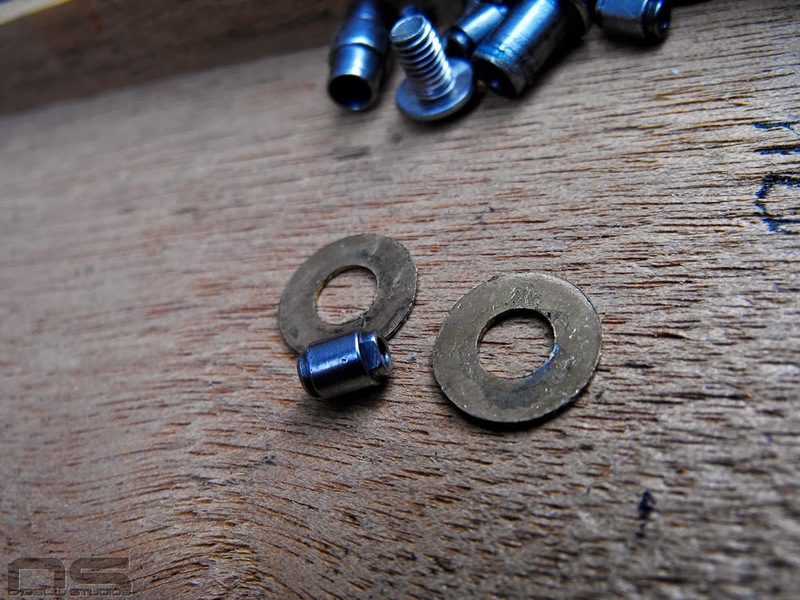 I wanted to point out, and it is more obvious on the other side, the screws are not centered in the countersink holes very well at all. Without taking it apart I can't say if it can be corrected by simply straightening things up like they should be, or if it's a matter of poorly located holes. I loosened the screws and attempted to just torque things into position, but no luck. 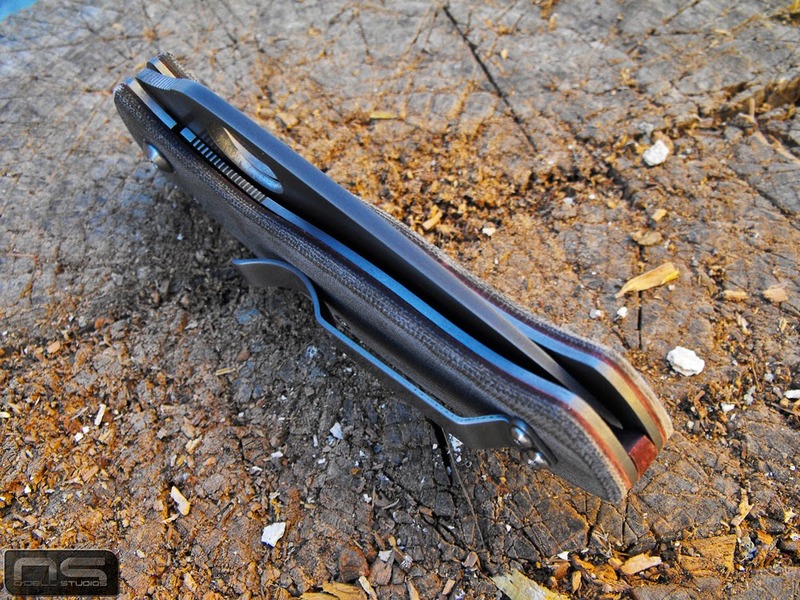 Blade centering seems to be important to people and it's good but what's more is the blade is stuffed in there keeping things as slim as possible. Getting into the nit picking you begin to notice in these images that things aren't as nice and tidy as they were on the 722. It's almost as if the handle slabs were rounded by hand. There are grind lines in various directions and it's not consistent like a machine had done it, whereas the 722 is consistent throughout. The 726 Mini Spitfire is slimmer than its sibling - Mini in every dimension. Some idea of the size of the Mini in hand. Here, and I don't think I captured it very well, it appears as though the blade jimping is a little wonky - deeper to one side. This shows the jimping a bit more clearly. Couple of Ka-Bar Folding Hunters joined the gang recently as well. They aren't large folders at all but a bit bigger than the 722 Mini Spitfire. Once again it looks like that nice polish helps keep the Spitfire running smooth. I dug around and found a better shot of the finish work. You can see grind lines running parallel on one side, perpendicular on the other and it's particularly uneven in this area. So what's the deal on the fit and finish? I know I'm being picky. I actually paid a few dollars more for the mini than I did the 722 which was partly my own fault, but urges me to be a little more critical. The 722 Spitfire actually shares many of the same "issues" that the Mini has but they are more minor. For instance, there might be a touch here or there where things aren't even on the 722, but barely. The jimping is maybe a little off let's say, but it's just a little more off on the Mini. As for the extra grinding, maybe it was intentional, and maybe the idea was to soften the feel just a little, but it looks unfinished. The marks left from whatever tool they used to accomplish it are errant and uneven. 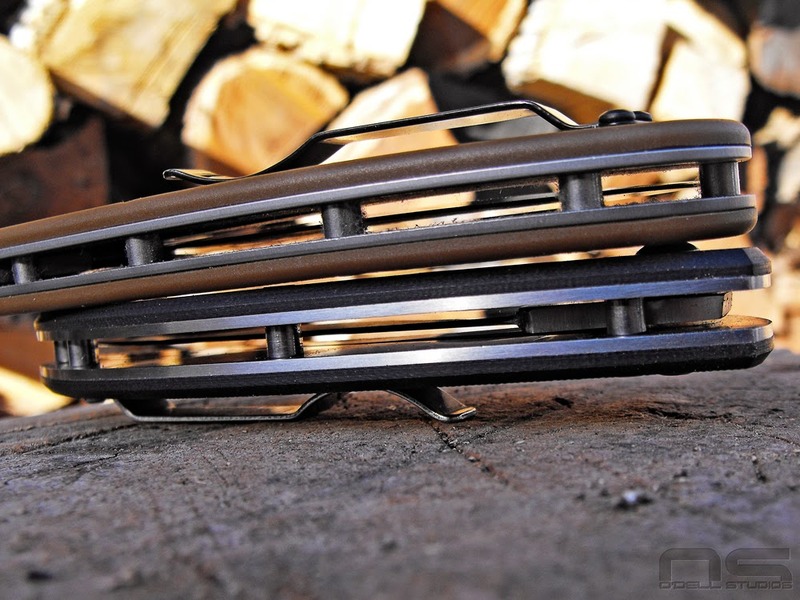 The backspacer doesn't look as well fit and the rounding creates gaps that give an overall less than precise fit. Are the workers pushing to get POs filled? Will things look a little neater in a few months time? Hard to say. The 722 Spitfire set the bar with good to excellent fit and finish and in that arena when paying roughly the same money, it's hard not to knock the Mini. And the 722 got away with not having amazing fit and finish because of the price point. With that said, everything else about the Mini is on par with the 722 and it is still hard to argue with those looks, great design, and a long list of features. As a final thought, if Buck is taking suggestions, I really like what I'm seeing on the Rush. I think the Rush is weird looking myself, but I dig the new matte finished anodizing and I think the Spitfire is the first place I would expand that offering. Of course I got the gray versions. I like the clean look for the most part, but I really dig that splash of personality hiding there at the backspacer as well. Overall though, I'm not really into the loud colors myself. The Rush colors are more subtle and while they are kind of limited right now, I envision an opportunity to do something unique like bronze or warm gray with a faded rusty red accent. 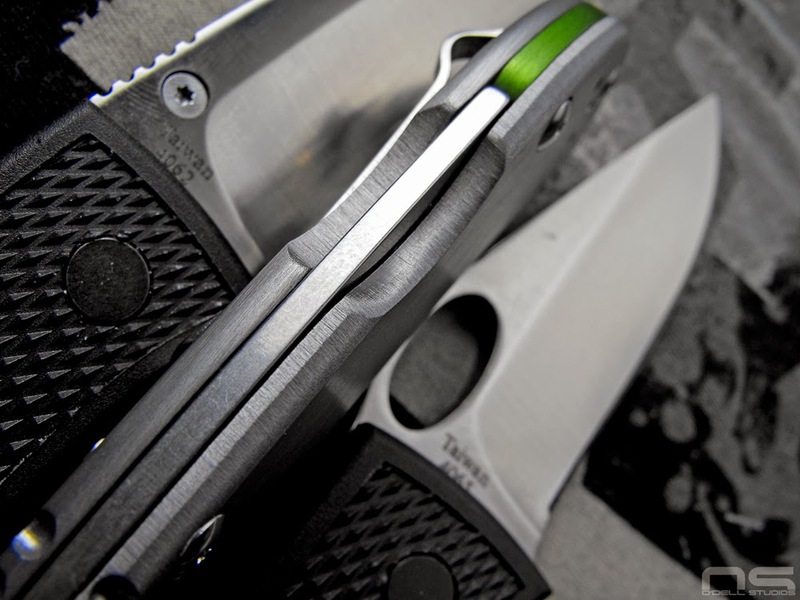 I can understand sticking to the bright orange or green, or the basic colors of the rainbow, but I think there is room for something that has basically not been seen on production knives. 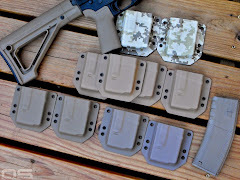 August 2014 update. This has been a long time coming. Typically if I return something it's simply because it's screwed up. My Spitfire wasn't screwed up. I suppose it's a different perspective when you write a review. Even though I purchased the Spitfire because I like it, rather than having it given to me for reviewing, I feel like Buck deserves a fair shake. I don't really think they deserve a fair shake because my review has cost them money, or even has the potential to cost them money necessarily, I mostly just really like it. I was asked recently what I thought of the Spitfire and this is quite some time since I initially reviewed the 722, or the 726 Mini. Nothing has changed and I carry the larger Spitfire pretty often. 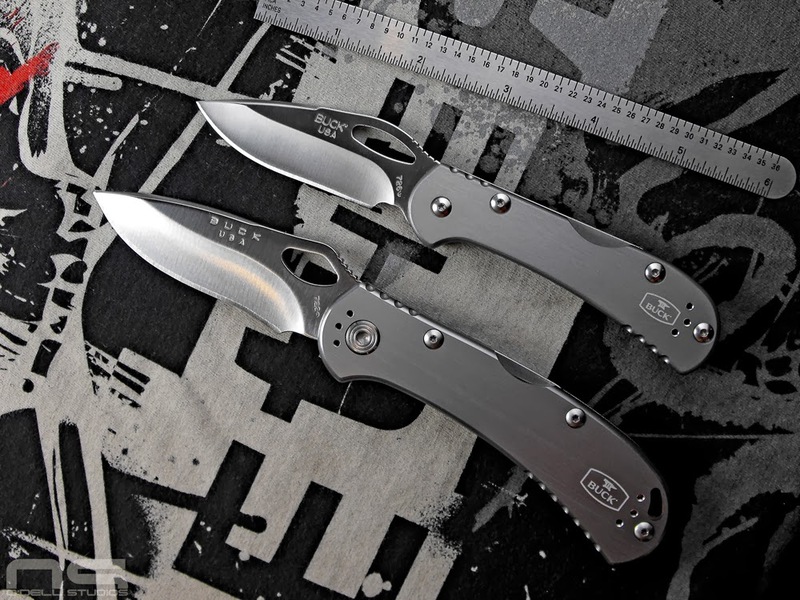 Buck made a list of features an everyday carry styled knife should have, then they put it in the Spitfire and nailed it hard. There are things I don't like about it. The swedge is one of my main dislikes. 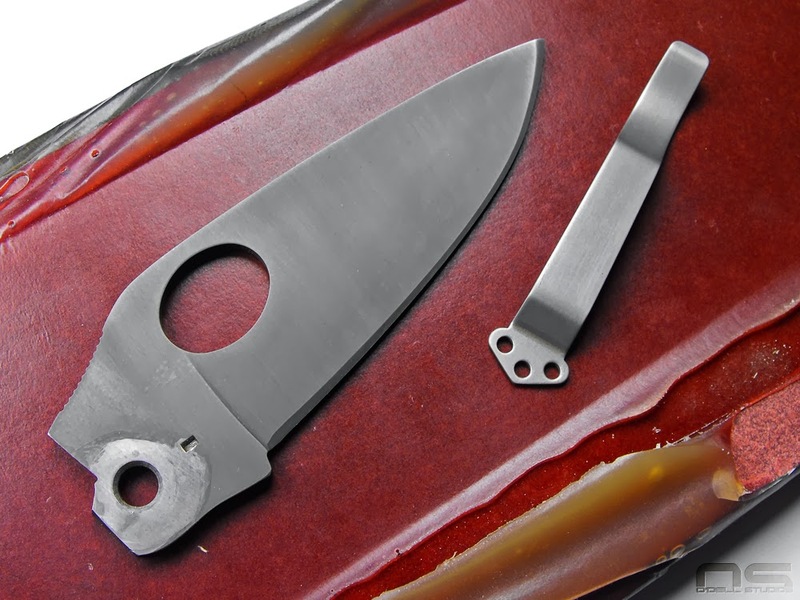 It's attractive and appropriate esthetically for the knife's purpose. But for two handed cutting where pressure is applied to the spine of the blade with the thumb of the hand not holding the knife, it's very uncomfortable. The play that apparently all Spitfires have can be annoying when doing this sort of heavier duty work as well. When you have a product that's designed to be one thing, I think it's important for customers to understand that it's not all things to all people. 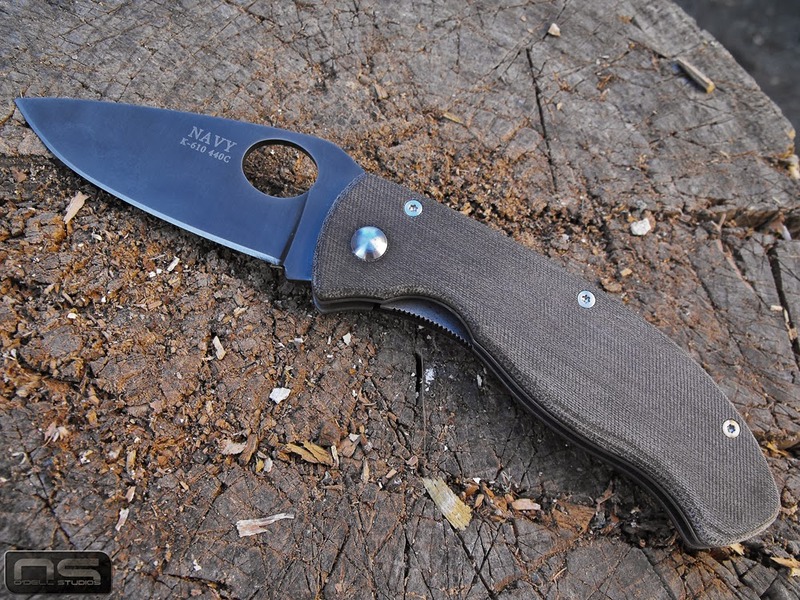 However, I feel with the Spitfires, it's obvious and buyers take one look at this knife, love the way it looks, how slim it is, how light it is, and they're sold. 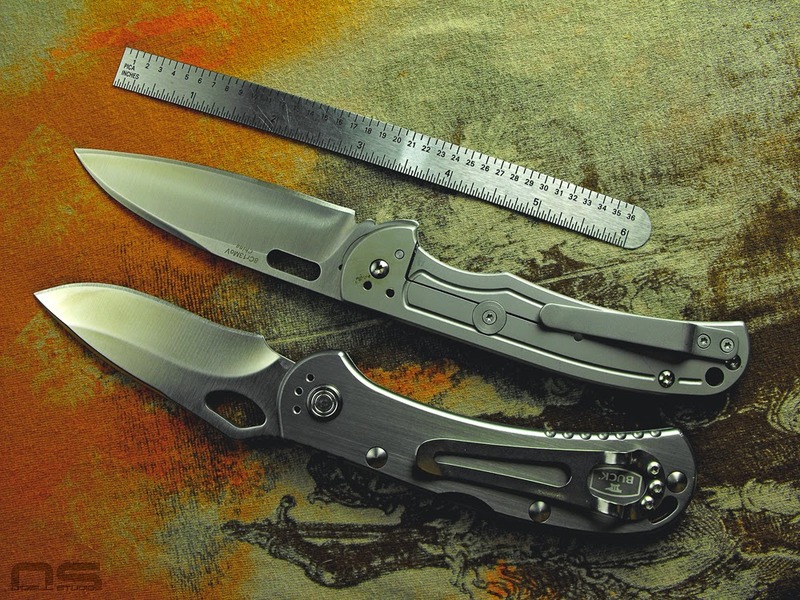 You don't buy a slim knife for a work tool that sees regular heavy use. The bottom line is, I wanted the Mini Spitfire to be as good as the full size and so I sent it back to Buck to see if I just got one that slipped through the QC cracks. They weren't excited about replacing it, but they did and the replacement was no different from the original. If I was working that day I think I could picture specifically picking out one that was just like the return because some jerk didn't think it had good enough fit and finish. Oh well. So I was going to come back and say, yeah, this is pretty much as good as they look. But then I was in a local hardware store and had a chance to examine 2 of them closely - one orange, one gray and green like mine. They not only look as good as my 722, they might even be better. 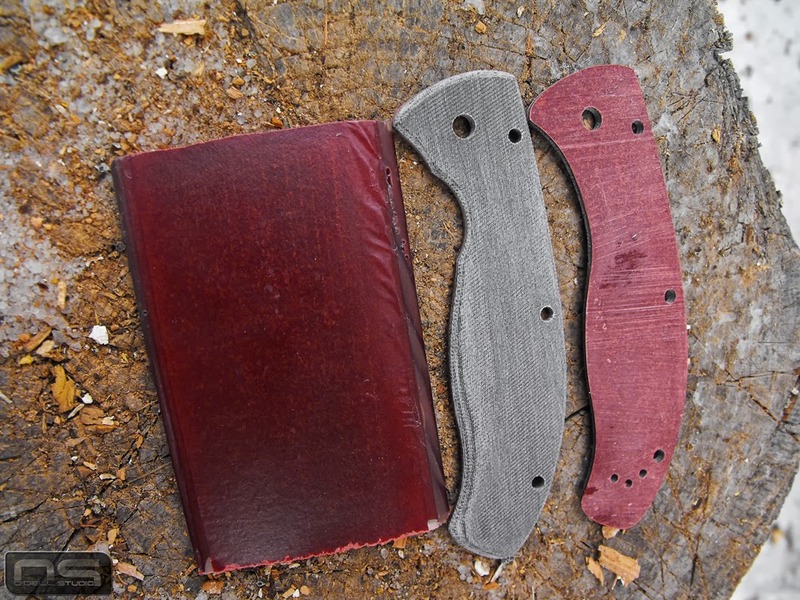 The handles have crisp, uniform machining, the jimping on the blade looked perfect, and the screws, while still not perfect, had very good centering. This makes me think that Buck did what was necessary to fill orders early on, and since that time, things have looked up in the fit and finish department. I am pretty tempted to go get another one just to restore balance in the world. 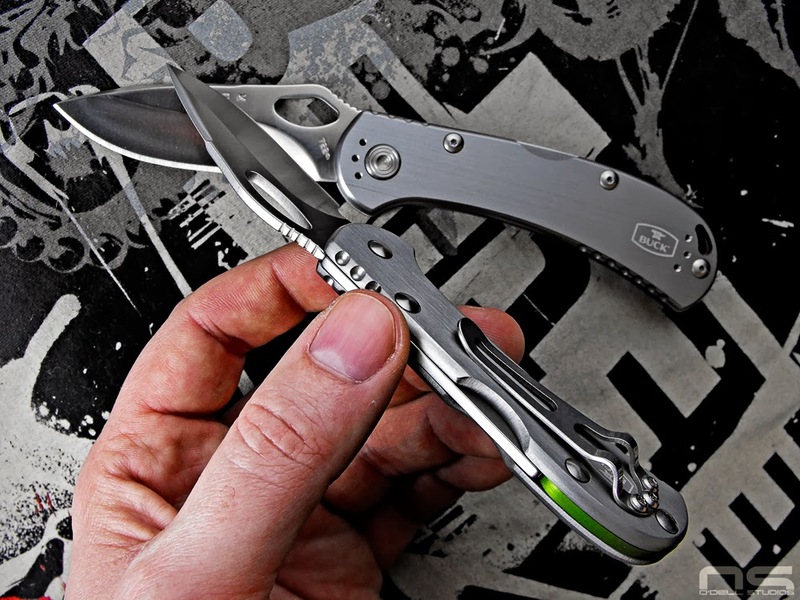 Photo courtesy Knifecenter and probably Kershaw. This happens all the time so today I thought I'd write about it. 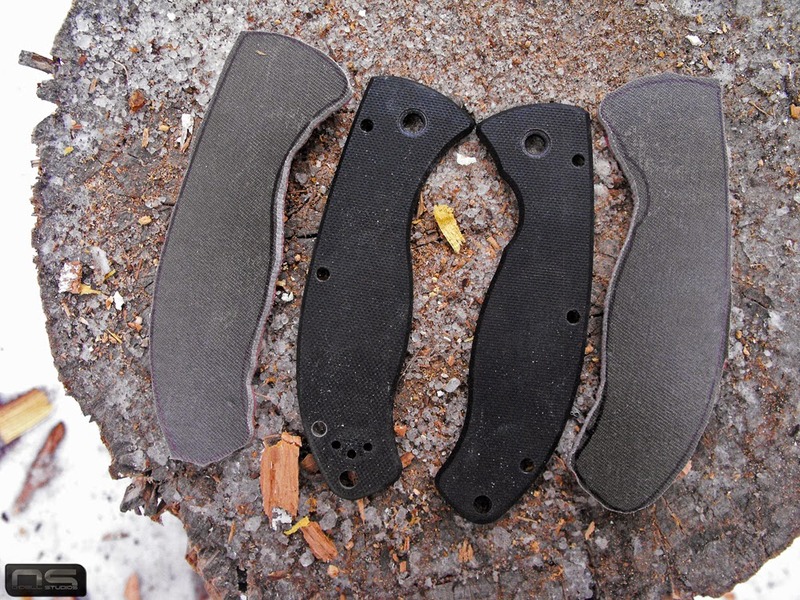 The Kershaw Dimension is the subject of discussion this fine frigid Kansas morning to address knives you almost like, but were executed wrong. 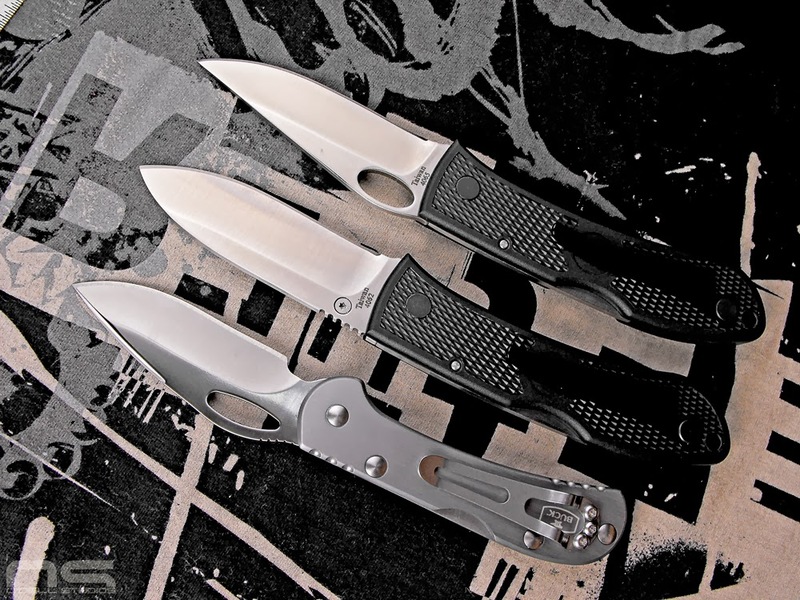 The Dimension is a good looking knife, has those fancy pants Titanium handles, some kind of high-tech assisted opening gadget, and comes in at a somewhat attractive price point for all that stuff you get. But, do I want any of that stuff? I don't, you might. What are we getting from Titanium exactly? My understanding from the industrial side is that it's not even terribly expensive to make, just expensive to work with. Where is the benefit for knives from that aspect? I don't know either. It's tough, I guess? Resists corrosion. Knives made with wood handles routinely get passed down from generation to generation but Titanium, well that will last multiple life times. That's great, but the blade is still steel and anyone who uses a knife will sharpen the blade away long before the handles wear out. But it's premium. 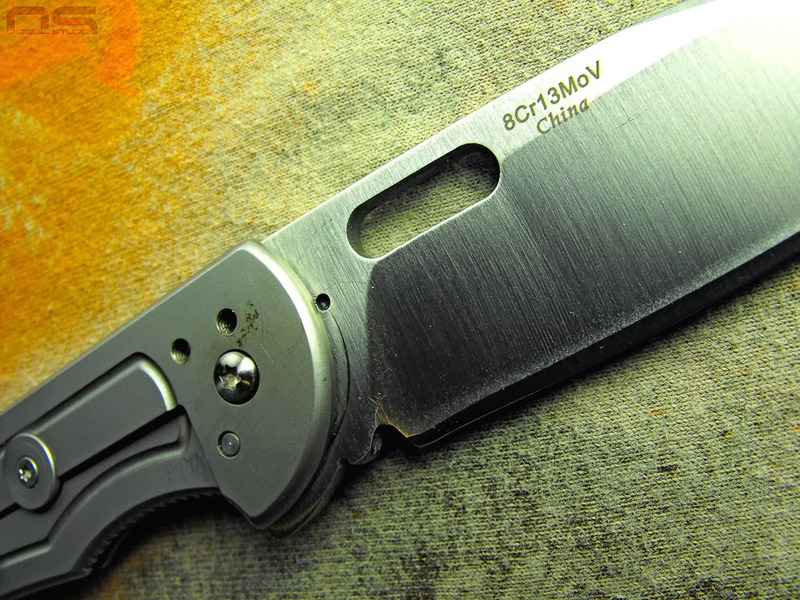 The blade steel is 8CR13MOV and the knife is made in China ...... moving on. Titanium saves weight. 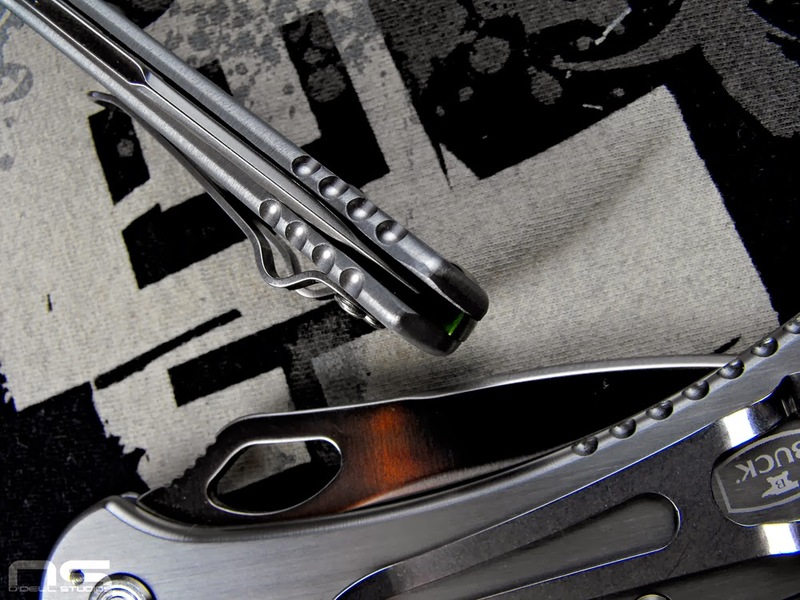 The all steel Kershaw Cryo 2 at 7.75 inches long weighs 5.5 ounces. 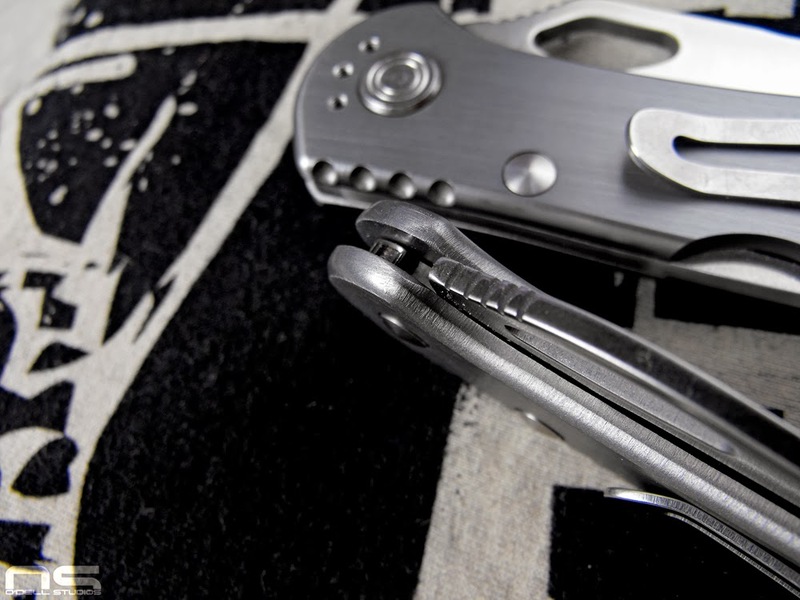 The Kershaw Dimension at a half inch shorter with that super light Titanium weighs 5.0 ounces. A whole half ounce! Let's make everything Titanium. And since we're talking about the handle, it's weird looking. 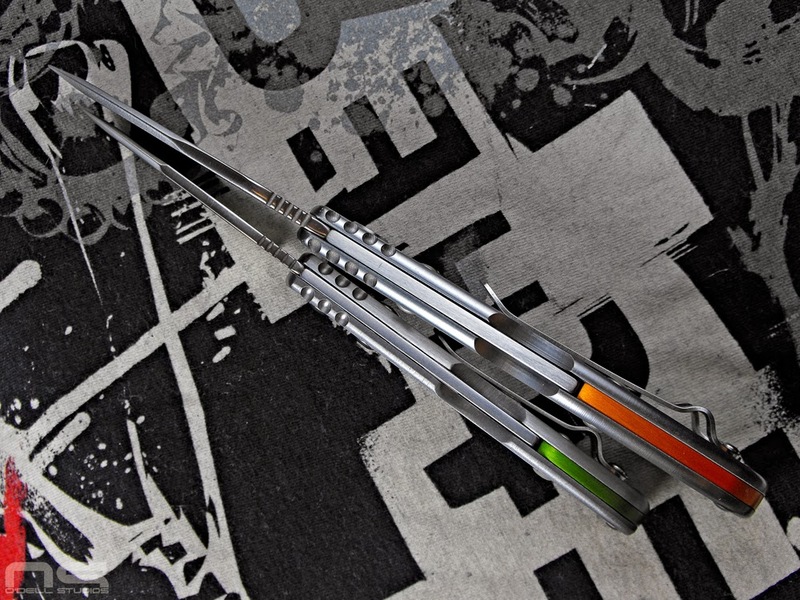 The blade rocks, which sparked this rant. Plus, the thumb studs are cool. 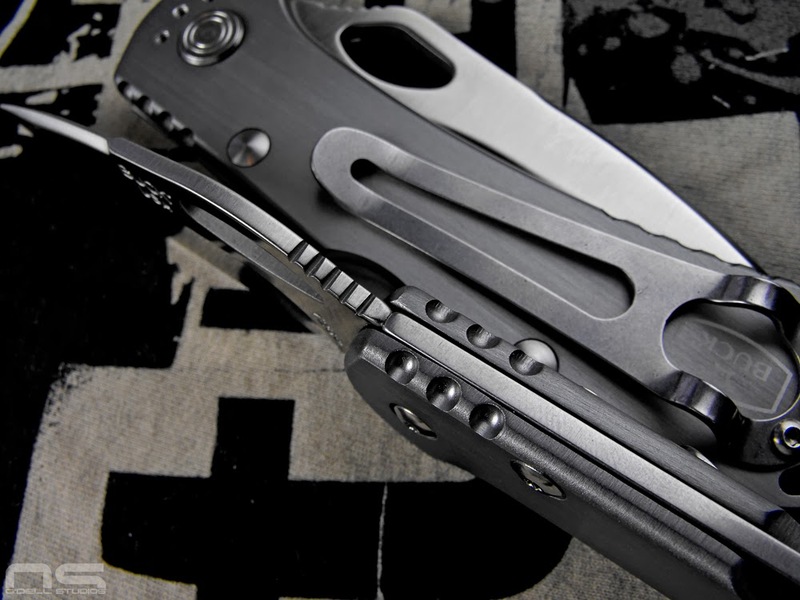 I like me some Kershaw assisted opening a la Cryo with that flipper, but why are there 10 different ways to open the Dimension? A button and a flipper and thumb studs and probably a Harry Potter spell if you read the instructions. How will you open your Dimension today? 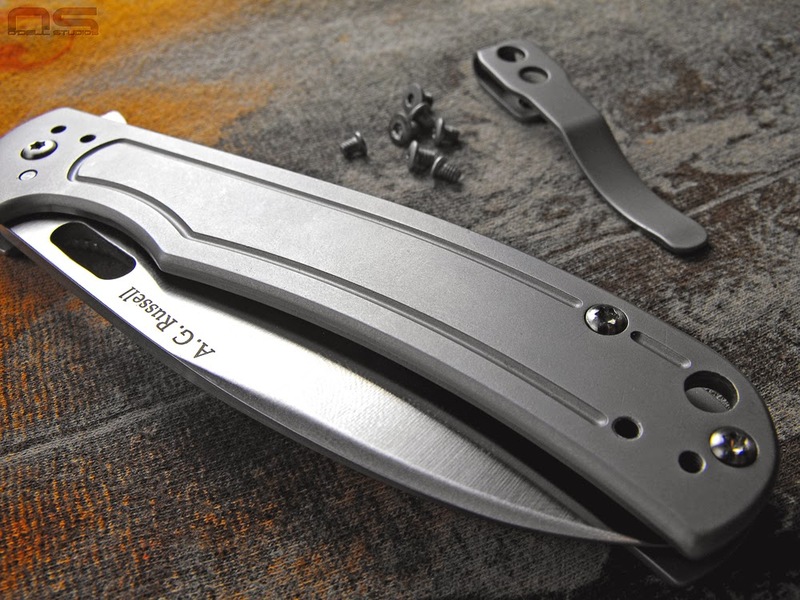 Put a different handle on it (ie, lose the square steps and the lines), make the handles from steel, lose the push button gizmo, used a frame lock, sell it for whatever the Cryo 2 goes for. Have nice day. More of the Navy K-610 project just for fun. I guess I like taking pictures more than I like writing blog posts. Given my disgust toward snow, I tried to make the best of it by getting some photos, but I'm still sick of winter. The gray skies and abundance of white make for some nice desaturated lighting though you can hardly tell my backspacer is red.